When everyone is facing neck to neck competition customers are only attracted by the quality and uniqueness offered by any company. They are piled up with ample of choices, so to attract and maintain customers towards the company one has to maintain and present the brand image of the company in a more creative way. A customer would not buy from a company which has negative reviews. Hence, the business has to join the hands with the ORM service providing a company like Value4Brand, one of the leading online reputation management services in Delhi. Development of Trust in Market: Customers simply have one perception in mind that they have to go with a company that has good reviews, testimonials and ratings. So, maintaining online reputation is very important. XYZ helps in keeping everything intact and setting up of a positive brand image of the company. Removal of Negative Reviews: Popular social media platforms like Facebook, Twitter, LinkedIn and Quora have most of the reviews posts by the customers. They can be negative or even positive. Negative reviews obviously hamper the growth and image of the company. Thus, its a need to have ORM team to look out for such negative reviews and remove them. Change in Ranking of Keywords: Your brand can earn good image when better ORM strategies are involved in SEO techniques. Your pages will get top rankings when each of the negative reviews is downgraded. 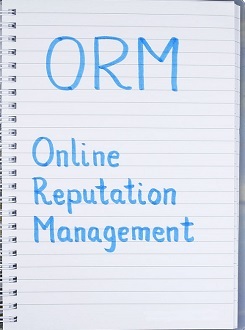 With best ORM team you will have a better ranking of your company. Value4Brand is a leading Online Reputation Management and Digital PR company in New Delhi, India. Since its inception, the company has managed to provide well-research and brand-oriented reputation management service for clients globally. Equipped with advanced tools and experienced team, Value4Brand ensures of long-term business relationship.